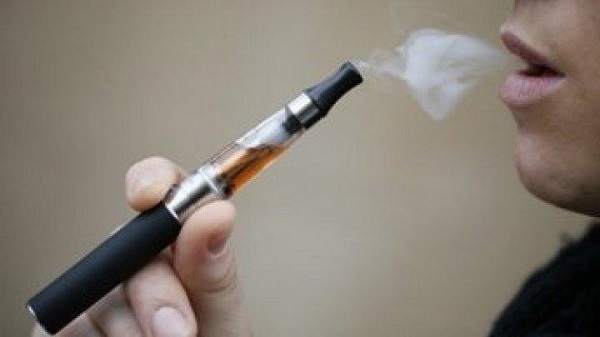 Have you decided to stop smoking with the help of the electronic cigarettes? Congratulations! First of all, you need to know that the internet is full of useful information, some of which you can find here, that will help you make this transition. Although, at first, the volume of information can be overwhelming, especially nowadays, when there is such a large variety of electronic cigarettes on the market, you should read e cigarette reviews with patience and curiosity. Here are some basic tips that will help you get a good start on this fascinating journey of vaping. If you have never vaped before, you will probably start with a disposable electronic cigarette, which is very simple to use. But shortly you will want to vape out of a better electronic cigarette, which is why you will need to know some basic things about the e-liquid. Electronic cigarette liquids are composed of water, VG (vegetable glycerin), PG (propylene glycol) and flavors. The ratio between PG and VG directly influences how you perceive the taste and aroma of the e-liquid, the throat hit (the feeling of “strength” when inhaling the vapor), and the vapor production. High concentration PG liquids are often the most recommended for beginners due to the strong hit offered by it, simulating more accurately the experience of smoking. At the same time, a PG-based e-liquid will offer less vapor production but will give the flavor much better. E-liquids that contain predominantly VG are gummier, which is why the vapors will be denser and richer. These are ideal for those who are less interested in throat-hit and more into the steam production, often being the preferred option of advanced vapers who leave behind huge aromatic clouds of steam. Also, the electronic cigarette liquids composed exclusively of vegetable glycerin are indicated for those who have allergies to propylene glycol. The nicotine concentration is probably the most important aspect that you have to consider as a beginner because it will directly influence your success in quitting smoking definitively. It is important to choose an e-liquid with a higher nicotine concentration at first, depending on how many classic cigarettes you used to smoke. At first, nicotine withdrawal is perhaps the most difficult to overcome. One of the most common mistakes of the beginners, especially if they are over-excited and have the necessary budget, is to buy an expensive e cig with features they will not need at first. As the smoker in you “retires” and makes room for vaping, you can try more advanced electronic cigarettes and more advanced features, capable of meeting your new demands. Let’s imagine the following scenario: you’ve been thinking about trying a liquid for a new cigarette with a new flavor. You return home enthusiastically with the new acquisition and begin to unleash the seal of the e-liquid, fill your atomizer, and start to vape. And … nothing special! The flavor has no intensity. If you want the electronic cigarette liquid that you will buy in the future to have a more intense flavor, there is a secret: maceration. Macerating the electronic cigarette liquid is the process that allows the flavor to intensify over a period of time. There are several ways to macerate the e-liquid, and vapers always come up with new innovations about this process. Rightfully so, because just by macerating the electronic cigarette liquid, it helps you get the most out of the flavor. One of the simplest methods of maceration, which always yields results, is the classic one. This involves shaking it for 30 seconds (of course, making sure the lid is tightly closed) and then placing the e-liquid bottle in a cool, dark place. After 5-7 days, repeat the process at least twice. As you may have already realized, the maceration of the electronic cigarette liquid is a process that, if executed correctly, takes about 3 weeks. So, if you want the flavor of the electronic cigarette liquid to be as accurate as possible, you will need to be patient with it. You probably wonder: Why does e-liquid maceration take so long? The answer to this question lies in the chemical compounds that render the taste and aroma you perceive when you vape the liquid for the electronic cigarette. At their base, e-liquid flavors are simple chemical compounds that interact with other compounds found in the e-liquid.